Five Years of Obamacare: Fiscal Disaster or Helpful? 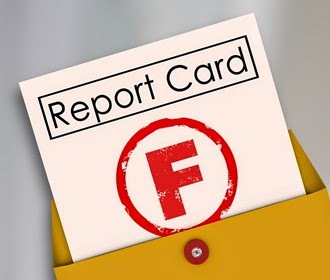 this report card for Obamacare. As of Monday, 23 March 2015, Obamacare has seen five years of operation. For five years, all of us have known some central issues: the subordination of the freedom of religion; the blocking of paths used to seek life, liberty, and the pursuit of happiness; and the usurpation of states rights. “The Little Sisters have simply caught the Obama administration out in its pretense that the nuns (and other Americans) needn’t worry their little heads over the implications of the Obamacare mandate. It’s not just likely; it’s inevitable that if the Little Sisters sign the Form 700, the Obama HHS will itself make sure third parties are notified – using the form – that those parties will be compensated for providing contraception services to Little Sisters employees. The form is a back door, in fact, through which the Obama HHS could undermine the intent of ERISA for the benefits plans administered by Christian Brothers. The effect of the Form 700 is to obtain the agreement of the religious non-profit to the principle that the government’s judgment prevails, when it comes to how the religious organizations’ employees are to be covered. As this piece points out, the wording of Obamacare was crafted to undermine the convictions of even our religious institutions (not to mention the convictions of the average religious American working in the public realm). That is, denial of service must be a feature of Obamacare, as noted by its architect. Maybe a panel will not decide. Maybe it will be a single bureaucrat. Nonetheless, some services must be denied in order to keep the law solvent. Hopefully, none of those services will include life-saving services for the oldest of our society. However, it currently denies life to the weakest of our society: the unborn. If Obamacare did not mandate coverage of abortion and contraceptive services, there would never have been any resistance from Christians or Christian organizations. However, the law does include provisions requiring the payment for these services; therefore, arguably this law might increase the denial of life to more of the pre-born. No longer do we have the liberty of observing that youth and good health can allow us to save money by surpassing health insurance. No longer do normal citizens have the liberty of choosing a healthcare package that reflects their values (for example, one that does not cover abortion). No longer can we choose not to have coverage for maternity coverage (if we are male), prostate cancer (if we are female), or other unnecessary coverage mandated by the government. Because this law tells business owners how to run their business (from the type of insurance to be carried to the number of employees you must have to escape the bill to the number of hours an employee can work while not being included under the bill), Obamacare does a lot to limit many peoples’ pursuit of happiness. From the worker who works at several part-time jobs to fill the void that a full-time job once filled to the employer who must lay off employees, Obamacare limits this pursuit. ” … a man who tried to kill it three years ago and his reason may have nothing to do with health care. That sets up a “serious constitutional problem” Kennedy said. Since it pressures states to set up exchanges and punishes the ones that don’t. “Let me say that from the dynamics of Federalism, it does seem to me that there is something very powerful to the point that…the states are being told either create your own exchange, or we’ll send your insurance market into a death spiral. We’ll have people pay mandated taxes which [they] will not get any credit on—on the subsidies. The cost of insurance will be sky-high, but this is not coercion. It seems to me that under your argument, perhaps you will prevail in the plain words of the statute, [but] there’s a serious constitutional problem if we adopt your argument,” Kennedy said to the plaintiff’s attorney, Michael Carvin. Obama promised to lower health care premiums by $2,500 per family per year. “The Affordable Care Act (ACA), which President Barack Obama once promised would “lower [health insurance] premiums by up to $2,500 for a typical family per year,” is instead going to cost the average family significantly more for coverage next year unless that family switches to another plan — and even then, in many instances, premiums will still increase. So will the penalty for not having coverage, meaning that many Americans will be faced with the unenviable choice of either paying higher premiums or getting smaller income-tax refunds. Certainly the Obama administration doesn’t consider the rate hikes a positive. Centers for Medicare and Medicaid Services administrator Marilyn Tavenner’s assertion that the data shows “the Affordable Care is working” notwithstanding, the administration wouldn’t have released that data on Friday, when it would likely get buried in the weekend news cycle, if the White House had wanted to call attention to it. In numerous campaign speeches and during his early years in office, Obama stated that his goal was to cover all uninsured Americans. However, that may have been just rhetoric for his socialist base within the Democrats (since it was noted very early in the process that many of the uninsured would likely follow the Massachusetts model). According to a 7 June 2013 article in the Washington Post, 30 million remain uninsured. As mentioned in the previous paragraph, this was somewhat expected in that many found it less expensive to remain uninsured and just pay the penalty at tax time. Naturally, this has led to significantly lower tax returns for the poorest of Americans as one of the longest recessions/jobless recoveries has been maintained throughout the Obama administration.